Effective on the green, first-cut, or just off the green. 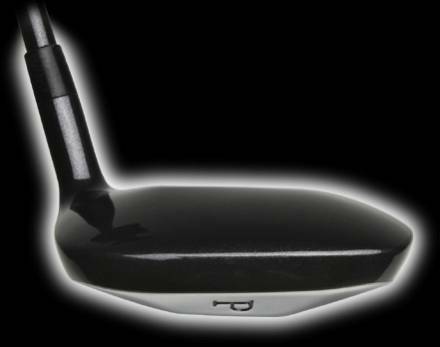 Very forgiving when hit off center with it's hollow head design. 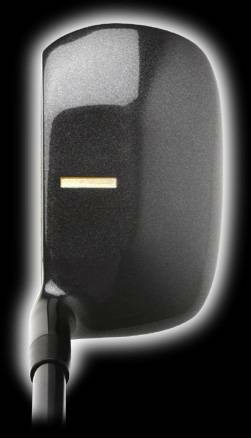 The key and exciting feature of this putter is its snag-less body and sole design. 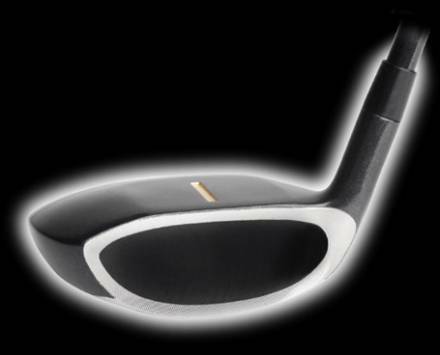 The leading and back edges of the huge sole are exceptionally curved and will not catch the ground on the back swing or forward stroke. The Hybrid type sole slides with ease across short or long grass. 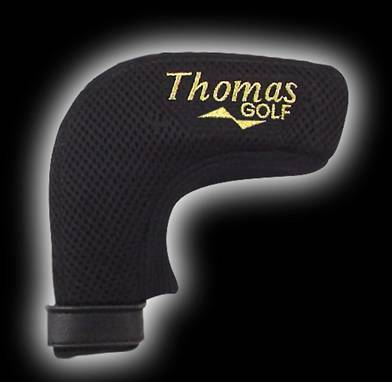 From the green, first-cut, or just off the green, this putter is an excellent performer. This Square hybrid putter comes in two different weights, regular or heavy for those who like to feel the head more through the stroke. 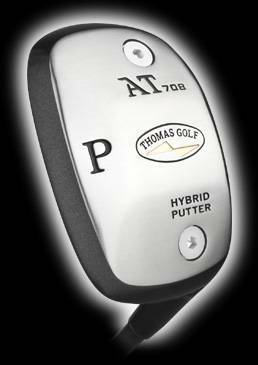 Both putters have the same effective alignment indicator found on the hybrid irons. This quality Stainless Steel putter is complete with machined face and resilient urethane insert for improved feel and distance control. Very often, the ball ends up in the light rough, just off the edge of the green, or sitting on the outer edge of the fringe with its back up against the rough. This can be a tricky problem. It's best to get the ball rolling rather than try a chip, but if you use a regular putter, it will have trouble gliding through any grass taller than fringe. The Thomas AT-708 Square Hybrid putter eliminates this problem with its large arched sole that glides over the grass blades, allowing the putter to stay smooth and stable through impact. 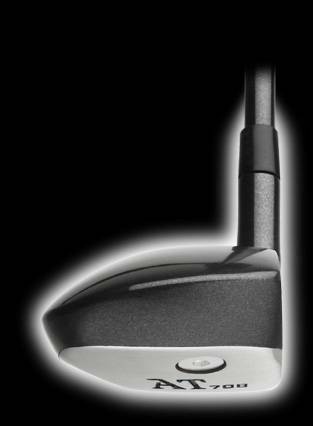 The Hybrid style hollow head provides more forgiveness on contact, more detailed sound feedback, and more confidence before the putt. By pulling weight back away from the face, the center of gravity is optimized to get the ball rolling at impact and reduce skipping. Aesthetically, the AT-708 putter sports a distinguished balance of brushed stainless steel, machined face, resilient urethane face insert for improved feel and distance control, and high-test enamel paint for exceptional look and timeless durability. 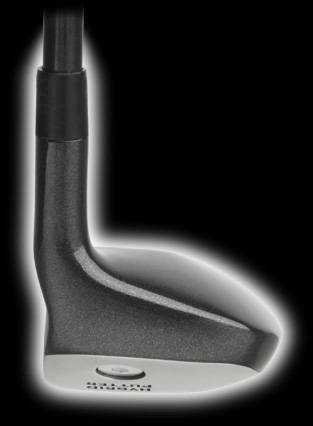 The Squared design of this Hybrid putter gives additional reference to improve your accuracy to the target. The flattened top area supports a defined gold aiming indicator that is level to the ground, providing the linear reference so crucial for the mind's eye to accurately aim the shot and swing-path to the target.